With the release of the next iteration in the Ace Combat series only a matter of months away, we hooked up with game producer, Kazutoki Kono, to get the lowdown on Ace Combat 7. In the following interview, we gain some real insight into the upcoming combat flight action game, including how the developer has leveraged the latest hardware beyond just a graphical overhaul. We also find out more about multiplayer, upgrades and the plans for future Ace Combat 7 DLC. The hallmark of the Ace Combat series has long been a strong narrative backdrop against which to frame the player’s actions from mission to mission. Why is this such an important component of the series’ DNA? “Becoming an Ace pilot”. That experience is the core concept of the series. Players cannot become heroes by just shooting and scoring big numbers. 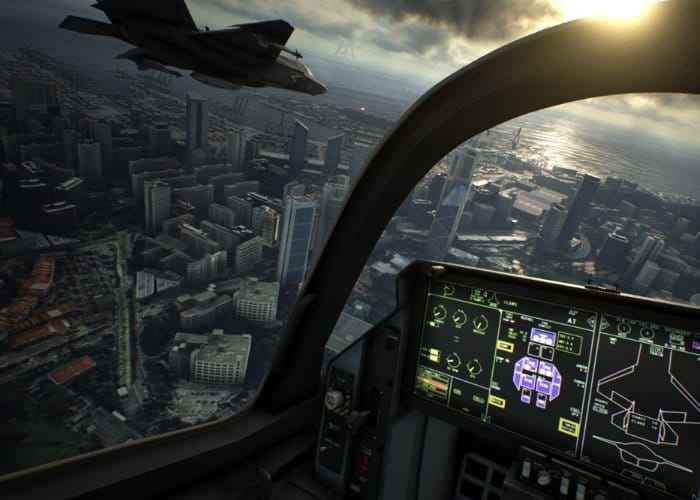 The storyline and the missions are what will provide that feeling, the player himself is the main character of Ace Combat. It is a necessary element not only for the game experience but also to achieve that feeling of “becoming an ace pilot”. Ace Combat 7: Skies Unknown marks the first return to the fictional world of Strangereal in ten years. What has been the fan response to this? Fan’s voices have been the biggest factor in our decision to choose Strangereal as a setting for the game. I am delighted to be able to present Ace Combat 7 in the world of Strangereal, particularly with exciting new additions such as the Space Elevator etc. It would have been meaningless to return to Strangereal with a boring story. And the development team? Do they enjoy playing again in the Strangereal sandbox? To make a game with Strangereal’s view of the world, we need to figure out “what is not yet in reality”. While it can be freely created without being bound by reality, the more we add the more difficult it becomes. Because the hard work to create is the essence of the development process, I think that it was fun making Ace Combat 7 even while suffering sometimes! This time it is set in 2019, 10 years after the events of Ace Combat 5. Previous Ace Combat games and Ace Combat 7 are connected. Stonehenge is a figure that has been seen 16 years before the events of this game. Console technology has come a long way since the last major entry in the Ace Combat series. Other than graphical improvements, what else has the latest hardware allowed you to do in Ace Combat 7 that hasn’t been possible before? Players can now experiment the “feel of the sky”. Up to now Ace Combat was flying in space where it looks real but without this feeling. In this seventh episode we will be shaken by the air current and the aircraft will vibrate. Improvement of this “sky feel” enhances flight sensation more than your imagination. Aside from the progress of graphics, I think that the game I create should always be related and correlated with progress in graphics and progress in gaming. Though it looks wonderful, things that do not affect the game are beautiful but superficial. On the contrary, it’s hard to convince players to feel something without giving them realistic visuals. This time I renewed the sky graphics. At the same time, it becomes a change of play field, a change of game play environment and hopefully change of feeling. Does it have an effect on your ability to tell a compelling story? I think that the experience of the player is intrinsically linked to the story. For that reason, all the elements work towards that direction. By innovating the sky this time, I was able to create a new experience. It will be a new story for the player as it is. Advances in technology are welcome, but I do not think that it is essential for storytelling. 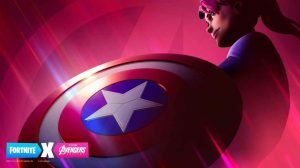 There are a number of examples that have succeeded in creating a wonderful experience and a story even without recent technology such as indie games of recent years. A creator’s ideas will always overtake technology. Volumetric clouds have also been added, and they look like they will be a formidable hazard to which players must adapt. Will they also have an effect on enemy AI in the game? How will the inclusion of weather affect players during a mission? It will affect the selection of the best possibilities, the tactics, and judgment. In order to avoid to be tracked by enemies devices, do you use the environment and visibility? Or maybe take your time and put some distance between you and the enemy? Do you have good visibility and space to do your maneuvers? At that time, the player is required to make their decisions and answer from the enemy aircraft position and surrounding environment at that time. Meteorological phenomena can be both enemies and ally. I said previously ‘other than graphics’ because obviously the game looks fantastic to the point of near photorealism. Has it been difficult to mesh the look of the ‘near future’ technologies such as the UAVs with the recognizable licensed aircraft? A combination of near-futuristic technologies and existing technologies has always been the goal. I have tried to take element that players liked in the game as well as to look ahead in the future. UAV are a good example of that approach and makes it work. One of the challenges was the “thought of UAV”. UAV has no life. When controlling a UAV priority of protecting yourself should be lower than protecting people. When that choice happens, what will the UAV oppose to the enemy and what kind of fight will they do? Regarding that point, it was necessary to develop a difference from the enemy’s aircraft of the past and bring it to the UAV. Do you think a pilot’s ‘spirit’ is important to be an effective warrior? Please play the game by all means, it contains our answer to this! But, if “soul” is not important to a strong soldier in the first place, the player would be far better with a UAV. 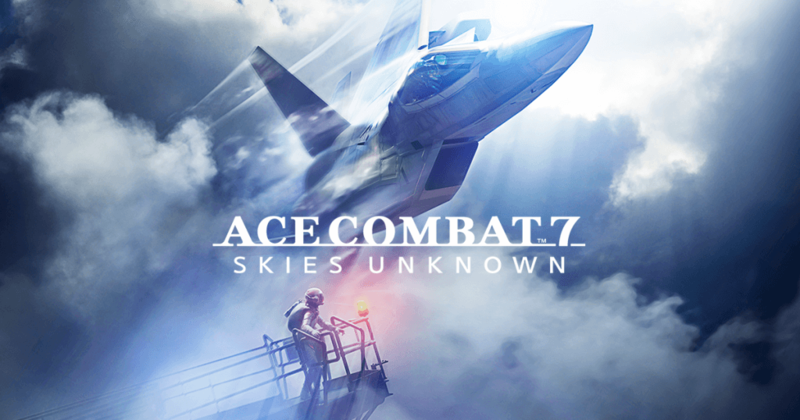 Very recently, the Aircraft Customization trailer was released for Ace Combat 7, in which an aircraft tree was shown for the first time in a numbered Ace Combat game. It showed various weapon unlocks and upgrades as well as other bonuses. You will need a strategy for choosing and obtaining your favourite aircraft, but there is no concept of levels, so you do not need to grind or do repeating work . What other sort of upgrades can be purchased? Available in the aircraft tree are the aircraft special weapons and parts to customize the performance. Are the upgrades unique to each plane, or are there some that will be global? Three special weapons are prepared for each aircraft. Parts are global and can be attached to all aircraft. Can you eventually purchase all available parts during the campaign? In campaign mode, all the parts necessary for the campaign are available. Some parts are “online parts only”. This is literally a part that exerts an effect only in the online multiplayer environment. 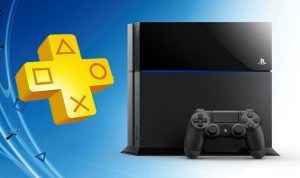 You will not be forced to play online to get parts of the campaign. Except for the contents released on DLC, all aircrafts, all special weapons and all parts can be obtained by consuming MRP (Mission Results Point) obtained in game. The MRP you can earn will vary depending on the clear rank of the mission and the score. Each aircraft also had a parts capacity shown under its specifications, and each part had a level. It seems there’s a high degree of mechanical as well as cosmetic customization as well. Can you provide some additional details on this system? As you pointed out, aircrafts have a maximum load capacity limiting the parts that can be mounted on. How to select and install parts that fit your own play style within that capacity is one of the important elements of the game. Although each part has Lv (level) indication, this is not something that the player will have to raise, simply the level is assigned to the cost and effect of the part. Can you talk about the multiplayer component of Ace Combat 7? 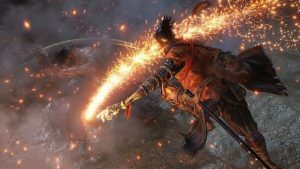 What types of gameplay can we expect to see online? Multiplayer has really simple rules. Since the battlefield has been renewed, you can enjoy the PVP using that environment. Rather than tying players with complicated rules, we tried to stress out the importance of improving players performance, such as adjusting the balance or capacity to evaluate the game situation at first glance. What plans do you have for future DLC content for Ace Combat 7? Currently, three aircraft (aircraft), three missions are scheduled as announced in the season pass. It is precisely under development, first of all we prioritize these completeness and quality. The PlayStation version of Ace Combat 7 will come with exclusive PSVR missions for the PlayStation VR. Is it different to create a mission for VR rather than normal play? What are some of the unique challenges? Ace Combat 7 pre-orders on the PlayStation 4 will include a PS2 to PS4 version of Ace Combat 5: The Unsung War, which is fantastic news to fans. Has Bandai Namco considered also bringing Ace Combat 04: Shattered Skies and Ace Combat Zero: The Belkan War to PlayStation 4? At this moment in time it does not have such a schedule. Of course, as long as there is customer feedback, it is our mission to investigate and make efforts. For Ace Combat 7 in particular it was really interesting for the players to play Ace Combat 5: The Unsung War which is set 10 years before the event of our last game. Is there any chance we might see the return of the ADF-01 FALKEN in Ace Combat 7? 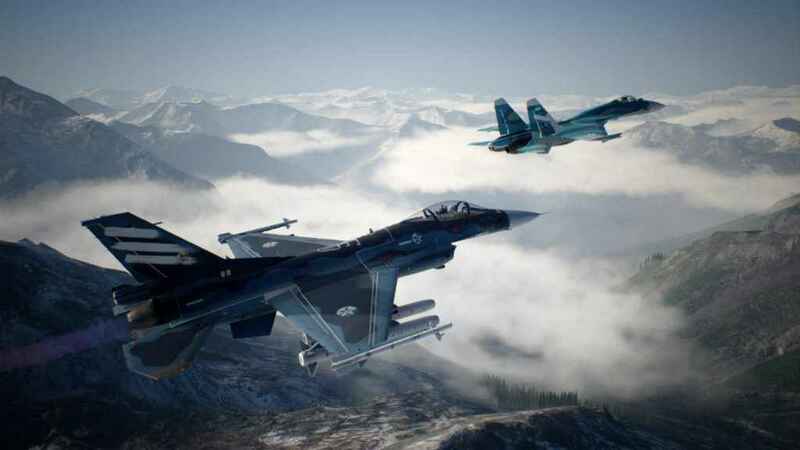 Ace Combat 7 launches on PS4, Xbox One and Windows PC on January 18, 2019. Ace Combat 7, not 6, on the last part lol. Otherwise, a nicely written and thorough interview! Can’t wait to play the game. Ha, yes. Corrected. I’m very anxious to play it too. I think Kono-san could tell that I’m a fan. Yeah, there were shots of a small UAV around that same point in the trailer that seems to have a similar design, so it’s super easy to mix up. You’re very welcome 😀 I’m hoping they end up giving us the three OG fictionals from the PS2 games, it’s probably what the three DLC aircraft will end up being.